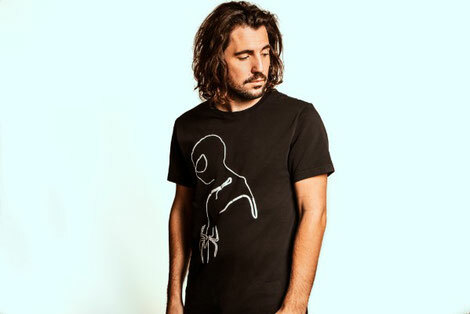 Disney and Dimitri Vegas & Like Mike recently launched ‘MARVEL by Dimitri Vegas & Like Mike’, an independent capsule collection inspired by Spider-Man. This streetwear collection was designed together with Dimitri and Mike: subtle but recognisable unique Spider-Man artwork is used on the T-shirts. The pieces are limited in circulation and the first pieces are available in Dimitri Vegas & Like Mike’s pop-up store in Antwerp, which offers an insight into the world of the brothers along with a ‘win a trip to Ibiza’ competition and interactive experiences. With Dimitri’s role in Disney’s Big Hero Six and working on the soundtrack for ‘Pirates Of The Caribbean’ with Hans Zimmer, the brothers apparently enjoy working under the Disney umbrella. Dimitri has been a big Spider-Man fan for years and said:"It is a great honour to be able to design and release this Spidey collection... my 12-year-old self would be proud!" Dimitri Vegas & Like Mike’s pop-up store is open until the end of August, from 10am – 6pm Monday to Saturday at Meir 51, Antwerp. The collection will also be available online shortly after on their new look website.